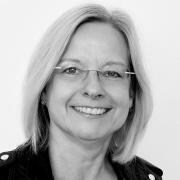 Susann is CEO at the Berlin School of Creative Leadership. Susann’s career experience in the creative industry stems from a range of management positions within the agency, client, and institutional side. With this, she brings a valuable combination of high-level strategic thinking, operational leadership, and essential process management to the school's business development and educational offerings. Susann's professional career began as a Marketing Assistant in the chemical industry. She then switched to the agency side, working as an Account Executive for Grey and Ogilvy One for five years. After being recruited for a challenging position on the client side, she led the in-house agency of the number one German department store chain, where she later managed two big mergers. During her 8 years in retail, she significantly influenced the strategic development of corporate brands and the departments she had to lead. Moving to Berlin in 2001, Susann became Managing Director of the Art Directors Club, and ran the not-for-profit-organization for 10 years. In her position, she focused on building a new structure and developing new business, and was crucial in the founding and development of the Berlin School. Here, she has been playing an active role as Managing Director since August 2011, before becoming CEO in 2017. Susann graduated from the University of Düsseldorf after studying French and Spanish Literature and Linguistics, as well as Educational Science. Most recently, she completed training as a Business Coach at artop - Affiliate Institute at Humboldt University, Berlin - and at Berkeley Executive Coaching Institute, California.